detect. Even so, many people still hold onto the image of the old metal bands and brackets placed around each tooth. There’s more to braces than metal and brackets, now. And, as your local orthodontist in Dallas, we can help you get the straight teeth you want with a solution that can do the job in a shorter time frame and feel more comfortable than the older styles of braces. 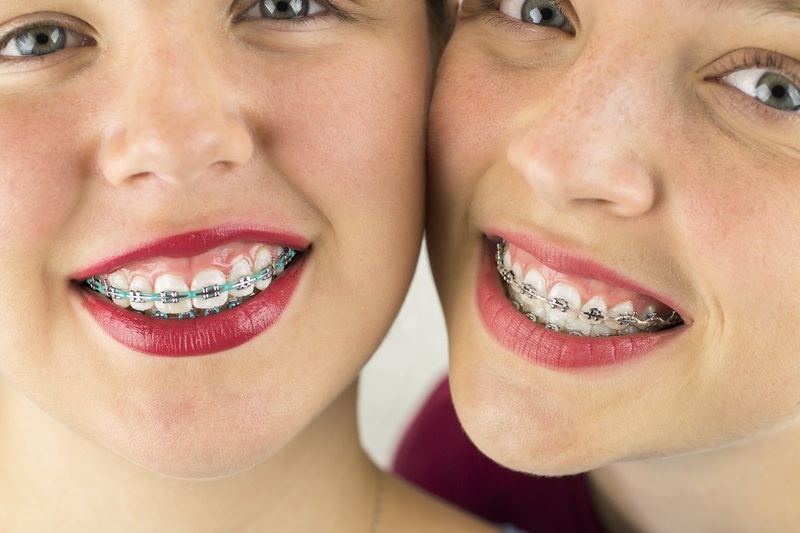 Modern braces can be made of metal, plastic, or ceramic, and we bond them to the teeth and then place constant, gentle force to move them into the correct position. The wires used in the process are less noticeable, you can choose the color of the ties, and even use clear brackets (esthetic braces). On top of that, the latest materials are able to move the teeth faster with less discomfort, so your treatment can be over sooner. Let’s take a closer look at the choices you have for modern braces. At Woodhill Dental Specialties, we use the best ceramic materials in our esthetic braces, so that the treatment doesn’t take any longer than the metal braces. These braces are for those who need traditional orthodontic treatment but prefer a more discreet look. Clear, removable aligners are a popular option for adults and teens who want to make minor to moderate adjustments to their smile without having brackets placed on the teeth. This is a simple process that uses a series of clear plastic aligners to gradually shift your teeth into place. Dr. Jeffrey Johnson utilizes suresmile technology to customize the trays that will gradually straighten your teeth and start producing the results you want. A small percentage of children will need preventative orthodontics at an early age. For this reason the American Association of Orthodontics recommends children be seen by an Orthodontist by the age of 7. Early orthodontic intervention is to prevent longer, more difficult treatment when the child is old enough for full braces. There is never a fee to see your child for a consultation and to monitor their progress as they grow until they are ready for Orthodontic treatment at the right time. While many people still think of braces as something that only happens to kids, modern orthodontic technology has created many treatment options that are comfortable and efficient for all ages. Our practice actually has a large percentage of adults currently undergoing orthodontic treatment and that percentage is growing year to year. Always remember: it’s never too late to get the smile you desire. We will work closely with you to make sure you understand all your orthodontic options. With all of these modern developments, we can achieve great results in shorter treatment times. Our tools and technology make it possible to execute the orthodontic solution with more precision than ever before.